It’s an exciting and scary time to be a conservation biologist specializing in pollinators living in Ontario. 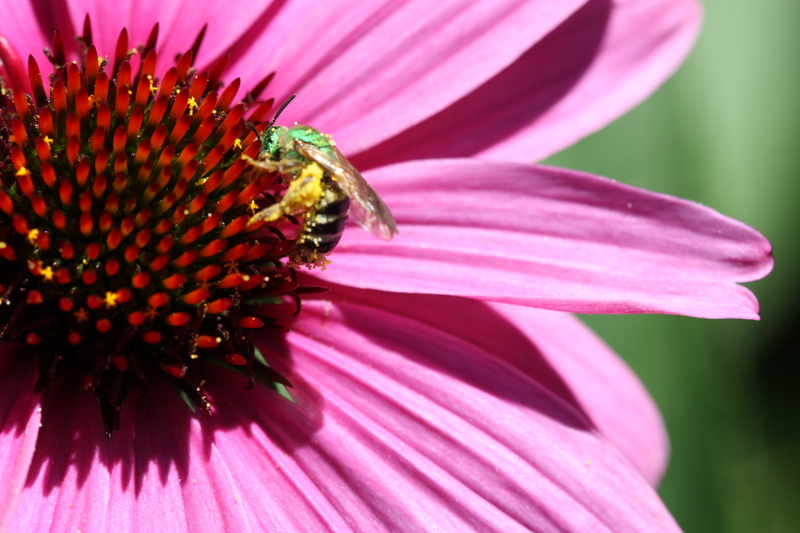 The province is accepting comments on their pollinator action plan until March 7th. When this was proposed early on, I was optimistic. However, due to the misinterpretation (or disregard) of science and the intense lobbying of industry, there is potential that this plan can do more harm to pollinator populations than good. The plan lacks clear timelines, goals, and targets, and is vague on what it “might” do and how it will get things done. The plan also focusses intensely on the European Honey Bee (Apis mellifera) and pesticide use as the main threat to pollinators, implying that by dealing with that, we will be supporting Ontario’s pollinator health as a whole. But we would never conserve Lake Ontario’s fish populations by throwing in a bunch of Asian Carps nor save woodland songbirds by bringing in a bunch of pigeons. We would also never attribute the declines of 1000s of wild species to a single threat. Why is it so different when we are talking about bees? One of the most glaring problems with the plan is that the recommendations are not made based on best available science. It also completely ignores a large body of relevant scientific literature, much of which has been carried out in Ontario. A good first step here (and really for any complex environmental issue) would be to form an independent scientific advisory group to propose recommendations based on research. These could then be made available for public and stakeholder consultation. 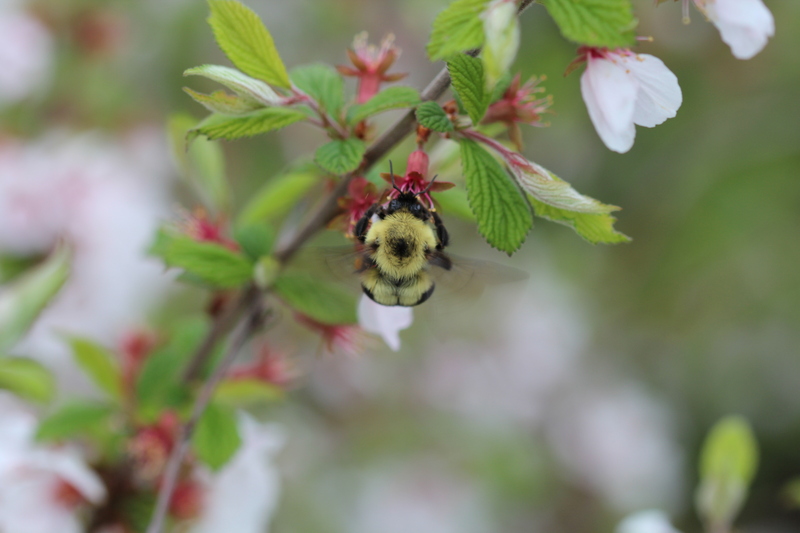 Ontario has numerous scientists in various universities and ENGOs who have worked on pollinator conservation issues for years and thus have the required expertise. However, these researchers (like myself) were invited to comment on the Environmental Bill of Rights Registry (EBR) and at stakeholder meetings. Thus, they are effectively being treated as single voices among many with competing interests and varying levels of understanding. OK, let’s break down the Ontario pollinator situation. The province is trying to target the issue of pollinator conservation with a single plan. However, what I see are three completely separate issues, each requiring their own recommendations, plans, and governance. These simply cannot be tackled by the same plan and, most importantly, the measures which will benefit one may be detrimental to another. There is good scientific understanding of each issue and with the right people at the table, evidence-based recommendations can be made for each. But currently, one ministry has been given the lead on the province’s single plan, which is problematic for reasons I allude to below. There are numerous pollinators deemed to be at risk of extinction (as defined by the IUCN Red List) in Ontario. The decline of pollinator species has also been documented globally and has led to increased concern. The causes of these declines are complex and, in many cases, species-specific. For example, the Karner Blue butterfly has ecological requirements associated with native grasslands, such as the specialization of its larva on Blue Lupine. The main threat to this species is habitat loss (i.e., Oak Savanna). 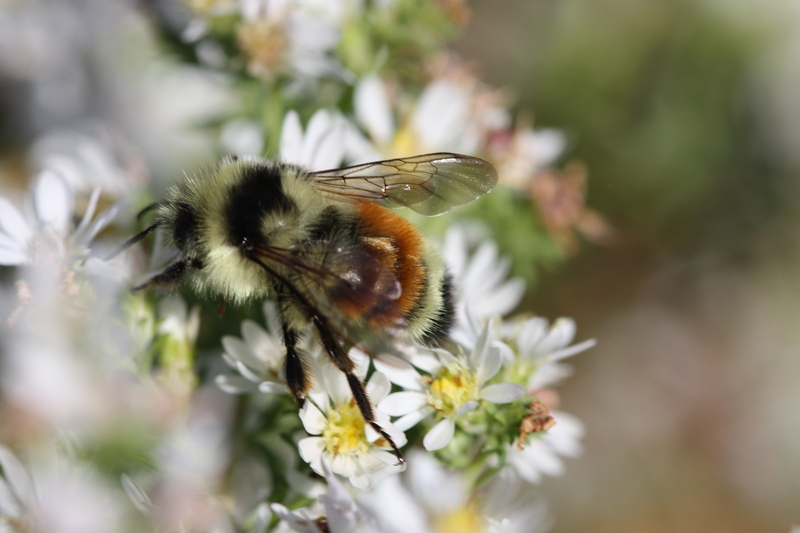 Another example is the endangered Rusty-patched Bumble Bee, which was a common species throughout much of southern Ontario as recently as the 1990s but hasn’t been seen since 2009. It is a habitat and forage generalist. Threats to this species are thought to be a combination of pathogen spillover from managed bees and climate change. Conserving species at risk of extinction requires ongoing monitoring and tailored conservation management based on knowledge of the species’ ecological needs and specific threats. Also, using the precautionary principle, remaining populations of these declining species need to be protected from additional stressors such as resource competition with non-native species (yes, this includes honey bees), exposure to pesticides or disease spillover, and habitat loss. The protection of species deemed to be at risk of extinction falls under the jurisdiction of the MNRF. Numerous scholars and scientific research have supported that the best way to manage a natural resource or ecosystem service is to maintain as much natural variation as possible. This is especially important for increasing resilience under climate change. We can’t predict which species will suffer or do well, so let’s keep as many around as possible instead of putting our eggs in one basket. Study after study shows that agricultural pollination of many crops benefits from a diverse pollinator community. Keeping a diverse pollinator community, which consists of both rare and common native species, thus increases the sustainability of our natural ecosystems and agricultural production. Since the protection of this ecosystem service is crucial to the protection of our environment, this issue should fall under the jurisdiction of the MOECC. To promote pollinator diversity, we should be protecting and creating high quality pollinator habitat wherever possible. This includes in urban areas, agricultural lands, and natural areas. Habitat should have a variety of native wildflowers, trees, and shrubs which produce forage throughout the growing season and incorporate nesting and overwintering sites which benefit many species (e.g., exposed sandy soils for ground-nesting bees). To whatever extent possible, these areas should only be exposed to pesticides, non-native animals, and non-native plants when there is no alternative. That’s correct, industry. As in, people make money by keeping these animals and selling their honey and/or pollination services. There have been numerous examples of the industry promoting the expansion of their businesses unethically as environmental initiatives. That being said, the industry’s bottom line is also vulnerable to a variety of stressors. Insecticides are used in agricultural areas to target crop pests, but honey bees are insects too and are harmed in the process. Keeping any animal in higher than natural densities, as we do with livestock and fisheries, results in disease outbreaks and proliferation. Honey bees have experienced this with numerous parasites, including the Varroa mite. In Ontario, climate change has been cited as a threat to honey bees. I find this somewhat perplexing, as honey bees have evolved to deal not with harsh winters but with Mediterranean and arid climates instead. In any case, overwintering losses are another pressure on the industry. While all of these threats do affect a beekeeper’s bottom line, we are not in danger of the European Honey Bee going extinct. When colonies don’t do well, beekeepers have the option of importing queens or colonies from other countries. For more informaton on the industry, see here. Mitigating issues associated with honey bee losses falls under the jurisdiction of OMAFRA. I can only hope that before Ontario’s pollinator action plan is finalized, the province does what is right and strengthens the plan and its governance structure to effectively deal with EACH of these three pollinator issues separately, using the best available scientific evidence and expertise.